In 1939 an American explorer made a remarkable discovery. In the depths of the Honduran rainforest Theodore Morde happened upon the crumbling legacy of a lost civilisation, dubbed, rather absurdly, the White City of the Monkey God. Upon returning to the US he described it in great detail, vowing to return to properly excavate it. His wishes however went unfulfilled: he was found hanging in his room in 1954, ruled as suicide, and the location of the lost city died with him. That has not stopped people from searching for this lost civilisation since, with many believing it to be the mysterious Ciudad Blanca from Honduran local legend. Even today we are still discovering new civilisations, perhaps because the culture surrounding them is so alluring and enticing – admit it, we’ve all dreamed of discovering the lost city of Atlantis at some point. 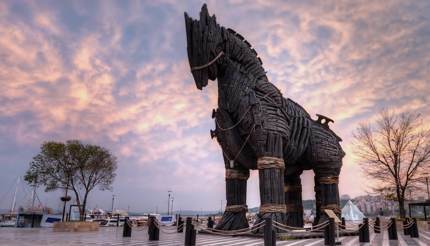 With that in mind, here are some of the greatest lost cities discovered around the world. The discovery of a lost city often raises more questions than it answers. Cue Stonehenge, which was first excavated in the 1620s by the curious Duke of Buckingham. 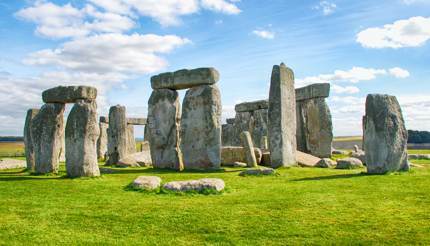 Constructed in nearly 3000BCE, it’s thought that the stones were chosen due to being lithophones – that is, they create sounds when struck. What nobody has managed to figure out is just how such a culture managed to move the multi-ton rocks. It’s a mystery that remains unsolved to this day. 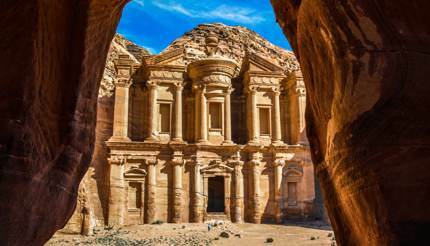 Carved into sandstone hills in the Jordanian desert, the ancient city of Petra remained unknown to the western world until 1812 when the Swiss explorer, Johann Ludwig Burckhardt, stumbled upon it. With a history that stretches back to nearly 9000BCE, today Petra is one of the Middle East’s most treasured tourist attractions and has been described by UNESCO as “one of the most precious properties of man’s cultural heritage”. 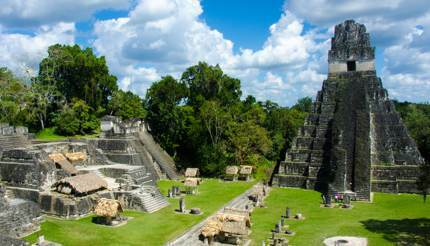 Poking out of the rainforest canopy in northern Guatemala, the pyramids of Tikal are centrepieces to a sprawling Mayan city that was abandoned in the 10th century. One of the best preserved examples of its kind, this remote settlement was rediscovered in 1848 by a Guatemalan politician and German journalists, who were investigating local reports of a lost city. 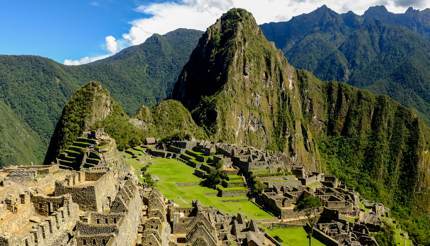 It’s hard to believe South America’s most popular tourist attraction was unknown to the outside world until 1911. Constructed by the Incas in 1450, this lofty lost city was deserted during the Spanish conquest, hidden and preserved by the thick jungle that surrounded it. It remained local knowledge for many years, until the explorer Hiram Bingham brought it to the eyes of the world, later returning to excavate the city. Today it’s a world heritage site, and one of the greatest examples of Incan architecture in the world. The 29th of March 1974 began as an ordinary day for Yang Zhifa, but it ended extraordinarily. 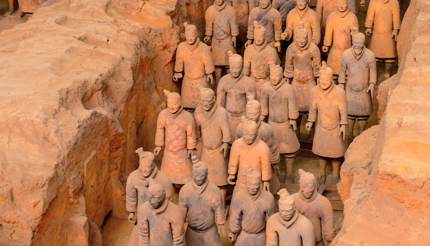 The impoverished farmer had gone out that day to dig a well, but hours later he had unwittingly discovered the Terracotta Warriors. 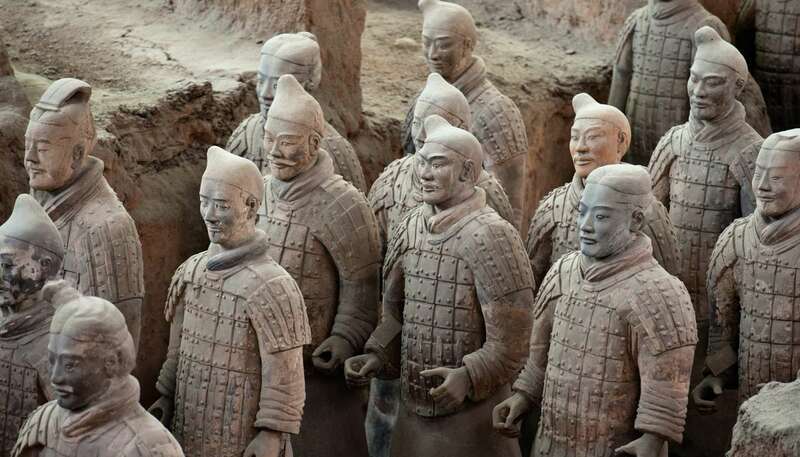 This life-sized army of more than 8,000 soldiers was the brainchild of Emperor Qin Shi Huang, the very first Emperor of China. Upon dying in 210BCE he wished to be buried with the statues in order to protect him from the afterlife, and his militarised mausoleum remained untouched for over two millennia. 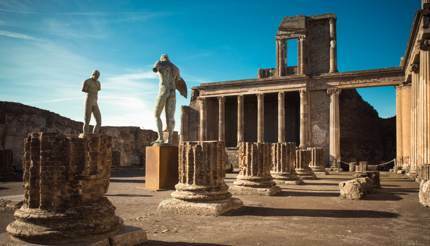 The eruption of Mount Vesuvius in 79AD may have vanquished life in Pompeii, but the ash dumped on the city that day preserved it, in its exact state, for some 1,500 years. Rediscovered in 1599, excavations of the site have provided a fascinating insight into the Roman civilisation, captured at the very moment of death. Humans and animals were found frozen in time and their panicked figures can still be seen by visitors today. It’s morbidly captivating. 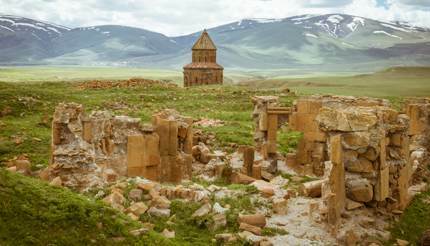 Strewn across an otherwise desolate valley in the Turkish province of Kars, this abandoned city lies in ruins. It’s hard to believe it was the capital of the medieval Armenian Kingdom in 1045, when it was affectionately known as the “City of 1001 Churches”. Ani was sacked and besieged by the Mongols, Georgians and Turks before being abandoned and largely forgotten about. It was not rediscovered until 1892, when the first excavations took place. 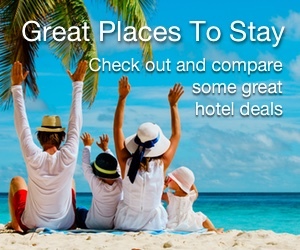 If you fancy a visit to the lost city of Heracleion, then you’ll need to bring your scuba gear. Once thought to be the stuff of legend, this ancient metropolis was rediscovered in 2000 during a survey of the Egyptian coastline. Flooded by the Mediterranean some 1,200 years ago, divers have recovered long-lost treasures such as giant statues, sarcophagi and gold coins. It is now also thought to be the source of another lost city, known as Thonis. 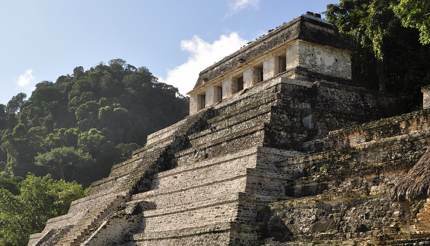 Lost Mayan cities abound in Central America, but few are as accomplished as Palenque. Dating back to 226BCE, this antediluvian city boasts some of the finest Mayan architecture, sculptures and bas-relief carvings known to man. Just 10% of the settlement is thought to have been uncovered so far; the rest remains hidden in the dense jungle that surrounds this glorious World Heritage Site. Still the spiritual heart of Cambodia, Angkor held the various grand centres of the Khmer Empire from the ninth to the 15th centuries. 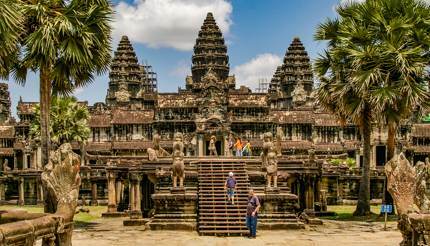 Among them is the Seventh Wonder of the World, Angkor Wat, which remained relatively unvisited due to the presence of the Khmer Rouge nearby. The demise of the regime has seen tourist numbers shoot up since the early 1990s, from less than 10,000 to over two million in 2013. This temple complex is thought to be constructed in order to align with the cosmos, but the truly astronomical task would have been transporting the 5-10 million sandstone bricks (each weighing 3 tonnes) to the site. 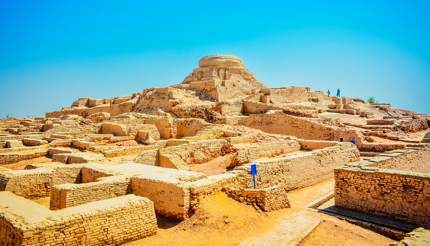 The population of Mohenjo-daro, which rather hauntingly translates to “Mound of the Dead”, remains tantalisingly obscure. One of the great Indus Valley Civilization settlements, it was abandoned for 3,700 years, only to be rediscovered in 1922 by R.D. Banerji, an officer of the Archaeological Survey of India. The sheer size and sophisticated layout of the city suggest an advanced, if enigmatic, society. The ruins of these clay dwellings are stacked one on top of the other, jutting out cliff faces and tucked into caves in Mesa Verde National Park, Colorado. The fascinating villages were once home to the Ancient Pueblo Peoples of North America, descendants of the first settlers that arrived there in around 7,500BCE. 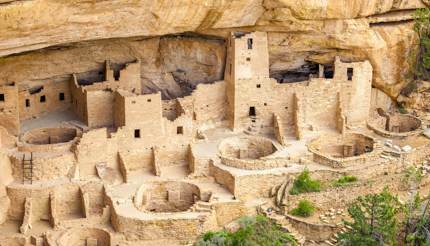 Today, they are part of the largest archaeological preserves in the US, containing nearly 5,000 archaeological sites – among which are 600 cliff dwellings, hewn out of the mountains themselves. Built around 500CE, the city of Ctesiphon was the imperial capital of the ancient Parthian Empire, and was, at that time, one of the largest cities in the world. Today the only structure still standing is the magnificent Tāq Kasrā, sometimes known as the Archway of Ctesiphon – the largest unreinforced brick arch in the world. Prior to the US invasion the arch was the centre of a thriving community, but now, like the rest of the city, it has fallen into disrepair. In 2013 though the Iraqi government contracted to restore Tāq Kasrā to its former glory as a tourist attraction. 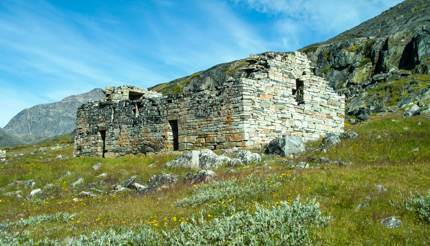 These Norse ruins are located on the island of Hvalsey in Greenland, and were formerly a Viking settlement. Dating back to the 12th century, the stone church house was believed to be built by the family of Erik the Red (a nod to the colour of his hair), the founder of the first Norse settlement in Greenland. Alongside the church are two stone halls and 14 houses.